After you vote, be sure to nominate patches released between now and Sunday the 16th for next week’s PotW. 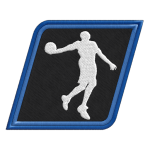 The restrictions for patches are no tools, nothing from team members, and the patch must be listed in the NLSC Downloads Database. Good luck to all the patchers in this week’s vote! The following is a write-up by fjccommish, who last week talked about some of the pitfalls gamers encounter when trying to get early copies of a game. fjccommish has spent some time with NBA 2K12 and contributed these initial impressions of the game to be published in The Soapbox. 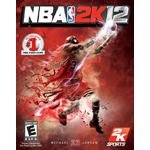 Here are some initial impressions of NBA 2K12. This impressions discussion won’t go into detail of all the modes or the whole game. It’s not intended as a complete review. The Soapbox is a feature where NLSC community members can let their voices be heard on a range of topics related to basketball and basketball video games through feature articles here on the main site. Today’s guest contributor is fjccommish. It’s the Commish up on the Soapbox. The subject is buying NBA 2K12 early through eBay and Craigslist. They say a sucker is born every minute, but the Commish isn’t one of them. People are spending $100, $200 or more to get a copy of the game early. It’s bad enough they can’t wait until Tuesday, but some of them are spending that kind of cash for a game that won’t ship until the release date, if ever. We are looking for NLSC members that want to get their opinions heard by writing feature articles. Mostly anything that relates to basketball video games or basketball itself is fair game. These topics include, but aren’t limited to, game impressions, patching tips, NBA Live retrospectives, thoughts on the lockout, NBA team analysis or the NLSC community itself. If you feel like you have something interesting to write about, get more information in this Forum post and then shoot a PM to Andrew or myself.